At Atlas Electrical and Security inspection and testing is an integral part of the service we provide when we carry out any type of electrical installation to your premises. We utilise the latest state of the art equipment to ensure accurate readings are taken and then compiled onto computer software provided. Upon completion the electrical installation certificate will be issued to our customer. Any certificate completed will also be available as an electronic PDF document at no extra cost and Atlas Electrical and Security will keep a back up copy if replacements are required. Installations deteriorate with age so it is important inspections are carried out at regular intervals. Periodic inspections provide an in depth condition report of electrical installations ensuring they conform to standards laid down in the IEE Wiring Regulations BS 7671:2008 that is to ensure it has been designed, installed, constructed and maintained in a safe manner thus ensuring personal safety. Atlas Electrical and Security will provide periodic testing tailored to suit your needs, offering a price per circuit, one off quotation or a package based on a 12 monthly report. Certificates will be compiled providing an easy to read and understand report on the condition of the installation and detailing any remedial work required. Certificates can be provided as an electronic PDF document and replacements available if required. Only have a small budget but are still concerned about the condition of your wiring. Consider a visual condition report. The biggest dangers are often the most easily missed. Leave it to the trained eye to evaluate whether you installation is safe. 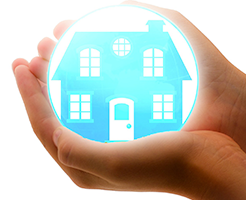 Atlas Electrical and Security can carry out a visual inspection of your property and issue an NICEIC certificate detailing any defects found. Atlas Electrical and Security carry out 12 monthly emergency lighting testing to BS 5266 ensuring emergency lighting systems are operational, provide adequate lighting levels and are positioned to provide safe exit if required. All results will be recorded on certificates produced via computer software provided. 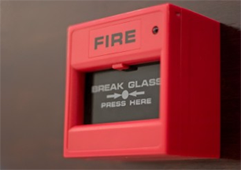 Atlas Electrical and Security carry out 12 monthly fire alarm testing and servicing to your system to ensure trouble free operation when most required. Your system will be thoroughly checked to comply with BS 5839. All results can be recorded on inspection and servicing reports and you will be notified of any non compliances or faulty equipment found. To check any portable appliances that have 13amp plugs on for insurance purposes and personal safety issues. This test is required when leaving appliances in rented properties and when appliances are taken into hall of residence or for checking appliances after a flood or fire damage.